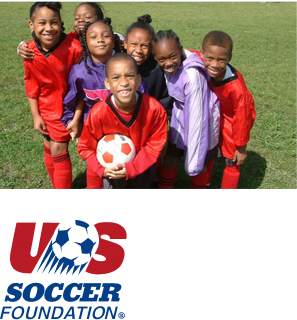 The U.S. Soccer Foundation is the charitable arm of soccer in the United States which runs a comprehensive anti-obesity, at-risk youth mentoring program for underserved, urban areas called Soccer for Success. Toward expanding this program to additional urban centers across the country, McAllister & Quinn developed and implemented a comprehensive short- and long-term government relations strategy including targeted outreach to federal agencies and relevant Congressional offices. Grants have also been a significant service offering for the Foundation. McAllister & Quinn grant writers assisted the Foundation in its initial application to the Corporation for National and Community Service (a federal agency) for its Social Innovation Fund (SIF) program as well as in preparation of answers to follow-up questions when the Foundation became a finalist. The Foundation became one of only five organizations nationwide to receive SIF funding in 2011, in the amount of $1 million a year, and they have received additional years of funding to reach additional cities nationwide. McAllister & Quinn also provided grant review services for the Foundation’s successful U.S. Department of Justice Multi-State Mentoring grant application in 2013. These funds are helping the Foundation to positively impact the lives of thousands more young people across the country. Organizing and moderating a panel discussion on government, philanthropy and corporate funding as part of the US Soccer Foundation’s 8th Annual Urban Soccer Symposium in Washington, DC. Panelists included program officers from USDA, Housing and Urban Development, and the Corporation for National and Community Service, as well as program managers from private and corporate foundations. This served as the fourth year where McAllister & Quinn assisted in a Symposium funding panel. Organizing, facilitating, and providing training and team leadership for ‎annual Capitol Hill Day for local program partners flying to DC from areas across the country to attend the Urban Soccer Symposium. Organizing and recruiting members of Congress and Congressional Staff to participate in the annual Capital Soccer Classic held at RFK stadium, an event that raises visibility and funding for the program.